I can’t contain my excitement about this quick bread! 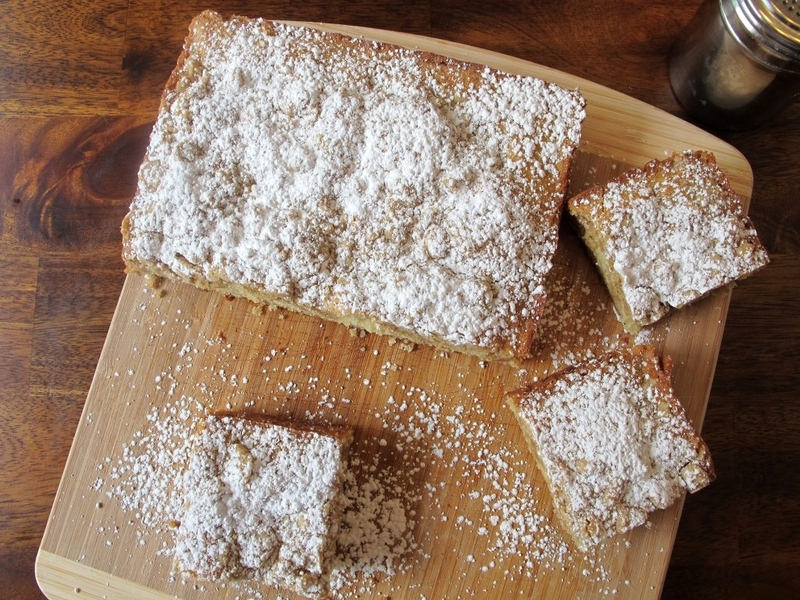 It’s part vanilla cake, part cinnamon bun, part crumb cake, all awesome. I’m telling you that once you make this you’ll have friends and family asking (no, begging) you to make it again. I think the pictures say it all today, but I’m feeling a little like Guy Fieri on Diners, Drive-Ins, and Dives. I love that show! If you’re a fan, then you know how he goes into crazy detail when he’s sampling the food. I get a lot of inspiration from Triple D. The only bad part is that it never seems like any of his stops are near me so it leaves me wanting to take a plane right away for a cinnamon bun the size of my head. Is it a sure sign that something is about to be amazing if the kitchen smells amazing while it’s baking? Here that was true. If you’re looking to satisfy a cinnamon bun craving and you’re afraid of yeast (like I am even despite my husbands passion for it and attempts to make me not afraid of it) then this will do the trick. 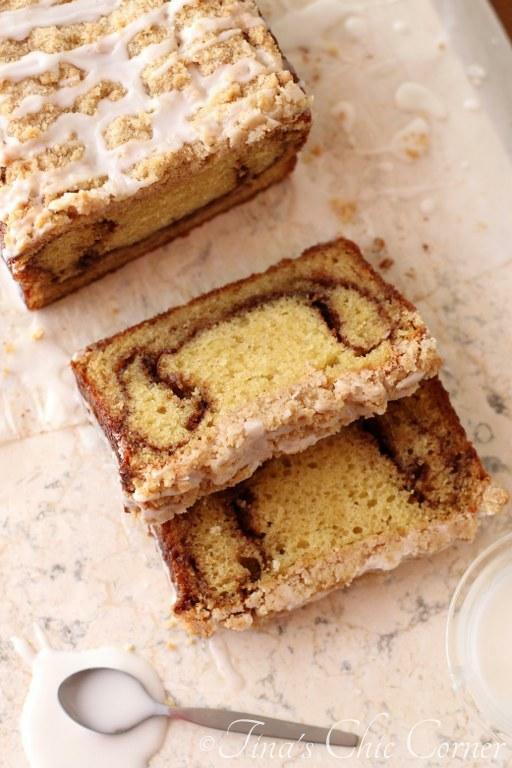 The cinnamon swirls throughout the cake are full of flavor. Mine are shaped like smiles. The fun stripes of cinnamon and sugary goodness will settle differently in each cake. And that cake is so light and tender I swear you could use it as a flotation device. I keep calling this a cake but it’s made in a loaf pan so I guess it’s technically called a quick bread. But seriously, why are cakes in a loaf pan described as “quick” when they take a long time to cook and what seems like forever to cool. I was so eager to cut into it so I must have checked on 100 times to see if it was cool enough to fish out of the pan. Patience is not one of my strong suits. Let’s not forget about that sweet glaze drizzled on top. You seriously can’t get more simple than this stuff. If you have water and powdered sugar, you’ve got a glaze for anything that will sit still long enough for you to apply it. 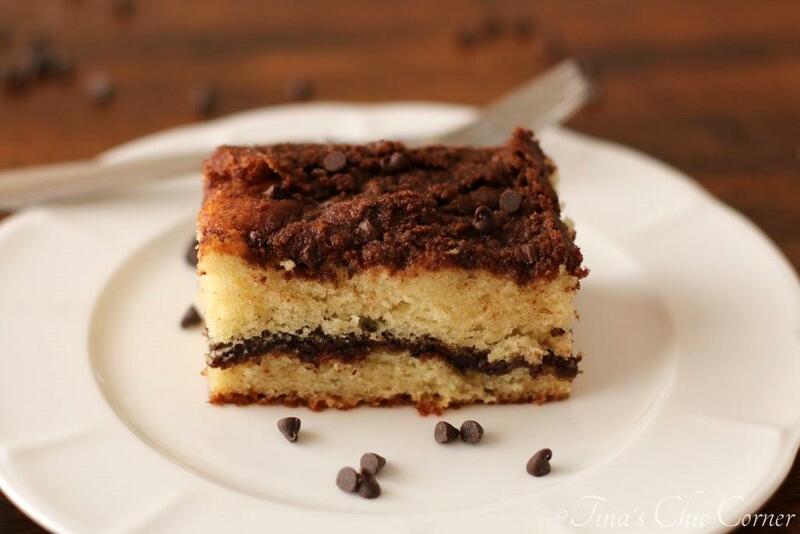 Start your morning with a slice of this and a cup of coffee. Nibble on a small piece of it for snack because a small piece is harmless… until you go back for a second and third slice. Scoop some vanilla ice cream next to a warm slice of this bad boy and you’ve got a bangin’ dessert. The bottom line is that this can be eaten whenever you want, with whatever you want, and in quantities that you want but probably shouldn’t have. In a small bowl, mix together the sugar and cinnamon and set it aside. In a small bowl, whisk together the flour, sugar, and cinnamon. Cut in the butter until crumbs form. Line a 9 x 5 inch loaf pan with foil or parchment paper and lightly grease it. Set it aside. In large bowl, whisk together the flour, white sugar, brown sugar, baking powder, and baking soda. Add in the yogurt, beaten eggs, and vanilla extract and mix it until the batter just forms. Do not over mix it. The batter will be lumpy and that’s okay. Pour and spread 1/3 of the cake batter into the prepared loaf pan. Sprinkle 1/2 of the Cinnamon Swirl mixture on top of the cake batter. Pour and spread another 1/3 of the cake batter on top. Sprinkle the remaining 1/2 of the Cinnamon Swirl mixture on top. Pour and spread the remaining 1/3 of the cake batter on top. Sprinkle the Crumble Topping on top of the cake batter. Bake it in the preheated oven for about 60 minutes or until a tester inserted comes out clean. In a small bowl, whisk together the powdered sugar and water until it forms a thick glaze. Drizzle the glaze over the cooled quick bread. Here are some other fun treats. Girl…I *so* want this for breakfast tomorrow. Would you mind sending me a batch? Because it looks divine! This bread has it going on! Love the triple threat with the swirl, crumb, and glaze, too 🙂 Pinning! I love snack breads like this! I bet it smelled amazing while it was baking! Hi Tina~~ This is my first time visiting your site and I must tell you that I’m drooling! Can’t wait to try some of your recipes. Could you please tell me, if I wanted to add a couple of really ripe bananas to the cinnamon swirl quick bread, would that change any of the ingredients? Also, please, could you tell me if I can double the recipe for any of your quick breads? I dislike making just one loaf at a time as my hubby eats a slice every morning. Thanks so much. BTW, they’re called Quick Breads because they don’t take time to rise. Thanks again, Diane from Las Vegas. Hi Diane. I’m so happy to hear that you’ve found some recipes of interest to you! 🙂 I have not tried adding bananas to this cinnamon bread because I’ve made other banana bread recipes (that are on my blog). So I’m not sure how the bread would come out. 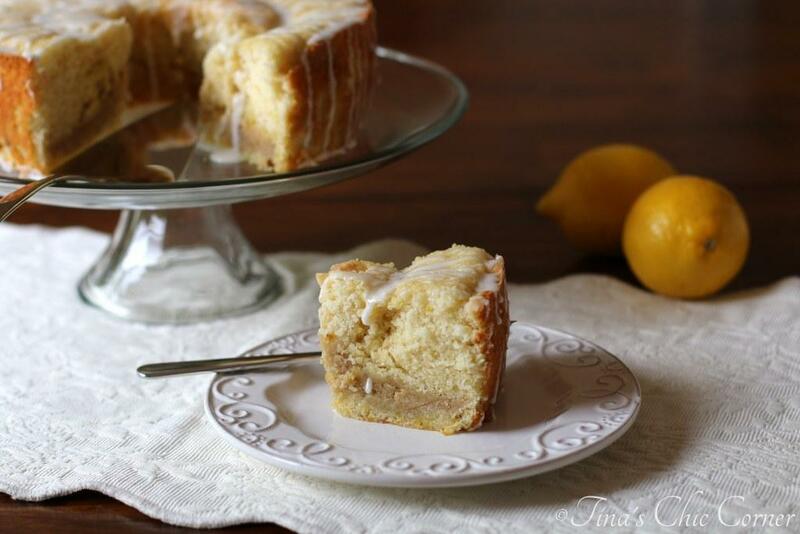 You can double this recipe but make sure to half the batter and bake in 2 pans. If you end up trying it, let me know how you make out. I just made this recipe and it completely overflowed in my oven!!! Yes I used the correct size loaf pan so I’m not sure what happened. It’s still raw in the middle after baking for the full hour so I’m letting it go another 15 minutes. I thought it was strange that the pan was 3/4 full with just the raw batter before I even put it in the oven, so I double checked that I didn’t make an error w/ the recipe. I have a feeling that it’s going to taste all smoky once it cools based on all of the burnt sugar overflow in my oven so I’m really disappointed. If I make it again I definitely will have to split up the batter into 2 pans. That’s disappointing! I’m sorry that this happened. When I have a recipe fail I usually try it 1 more time before I write it off. Most often, it’s hard to pinpoint what I could have done wrong (or if the recipe is just bad). If you try to make it again, let me know how you make out.